On this page you will find a list of recommended ancient Rome history books. Most of these books can also be used by students of ancient Roman history. We will be adding more books in the future, so make sure you come back to this page and that you are added to our mailing list. The Ancient City book by Peter Connolly and Hazel Dodge is a nicely illustrated history book about both ancient Greece and ancient Rome. 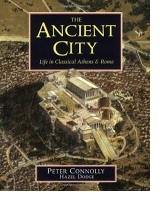 It contains amazing views of the city of Rome in 1st century A.D. and information about daily life in ancient Rome. How did Roman food taste like? Did you know that many foods that we associate with Mediterranean cuisine today such as eggplant or lemons did not exist in ancient Rome? Or that wine was always watered down? 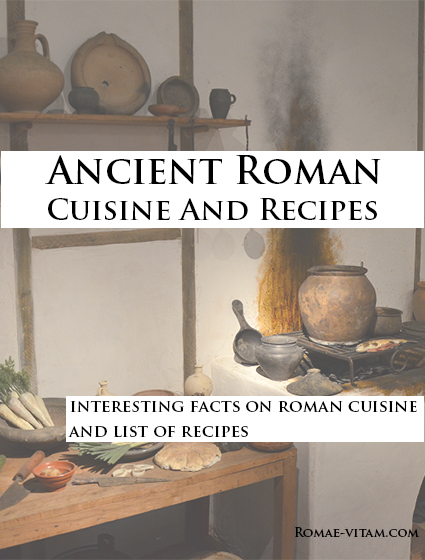 This e-book contains interesting facts on Roman cuisine and eating habits and a list of easy-to-make ancient Roman recipes. 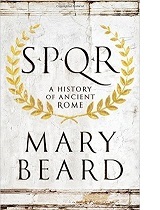 SPQR: A History of Ancient Rome is a very interesting book about the history of Rome from its foundation in 753 B.C. to the reign of Emperor Caracalla in 212 A.D. The author describes how Rome grew from a small village to a gigantic city. It also challenges many preconceived notions and ideas about Rome and the Romans.